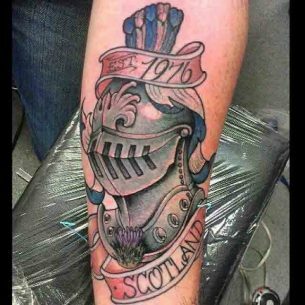 If the body art is said to be the reflection the inner essence of people, it would be strange to ignore such a phenomenon as patriotic tattoos, and Scottish tattoos in particular. The pod and love to motherland can become the basis of one’s character and life attitude, so this is one of the most important components of personality. 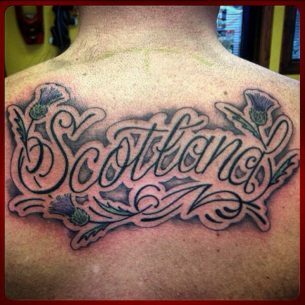 It is interesting: Among all the nationality-themed ideas Scottish ones are growing the popularity not only among patriotically-minded representatives of these proud people of the North of the Britain but among tattoo lovers all over the world. 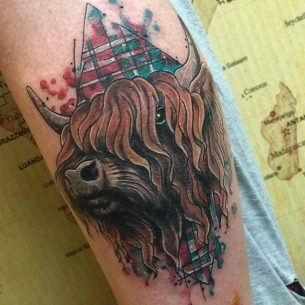 The culture of Scotland is very old and people of Highlands had always been devotedly honoring it which helped them to maintain the old knowledge and the whole variety of ancient symbols and their meanings, from the ages when Celtic tribes ruled these lands till nowadays. Even though Scottish people don’t mind careful learning their history and studying their own traditions, there is a reason why they have to do this, and it’s because they were never used to identify themselves as the part of Great Britain. Ireland, for example, had managed to get rid of the power of the Crown, but all numerous attempts of Scotland to gain independence and build their own country failed. These events were described in on great movie “The Brave Heart” starring Mel Gibson in which all events take place during the riot under the command of great war leader William Wallace. The idea of freedom still remains kept in hearts of Scottish people. 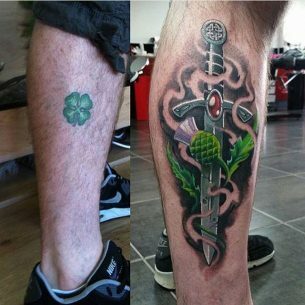 Even though the history of the of this lands goes hundred years back till the times of ancient Celts, Celtic tattoos are not the matter of this topic. The greatest feature of Scottish patriotism isn’t based on nostalgic recalls of former greatness and good old pagan beliefs, as it is in many other modern cultures, but vice versa – a real Scot is proud to be Scottish now and forever. 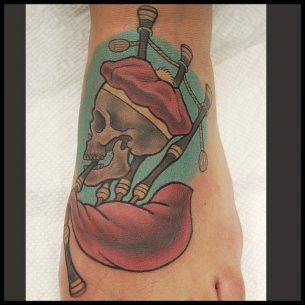 This is the reason, why basically national symbols and other authentic stuff are meant referring Scottish tattoo ideas. This is the main romantic and meaningful symbol. Historically, an image of the flower used to be an emblem of the glorious Order of Thistle, which appeared three hundred years ago. The flower remained in the emblem of the order till nowadays. 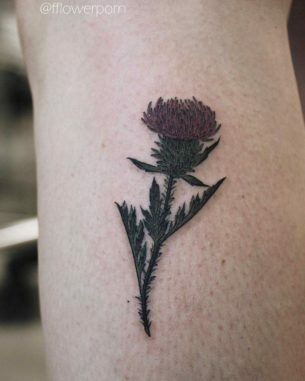 The main meaning of the thistle tattoo is its usage as the charm which keeps its owner away from danger and bad acquaintances. 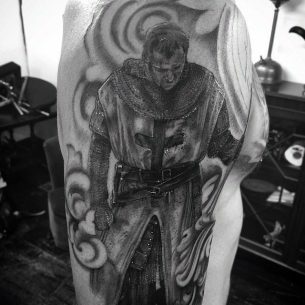 It seems like the owner of this tattoo repeats the motto of the Order along with knights: “Nemo Me Impune Lacessit” which means “No one provokes me with impunity”. The image reminds the daring strangers: there is a vengeance coming right after any harm they do. At the same time, it reminds its owner not to get involved in any kind of questionable calls not to get punished as a logical result of all such affairs. 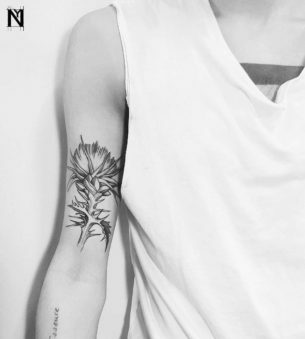 The spiky plant is also a symbol of Jesus Christ and his sufferings as during the execution he was wearing the fern crown made of spiky branches. There is not the least popular of painting oneself in colors of the flag of some country you love and believe in. This is pretty common for soccer and football fans who make such temporary drawings of flags on their faces. But, if your love for the motherland is pure and true, why don’t you express it with a drawing that would stay for the rest of your life. 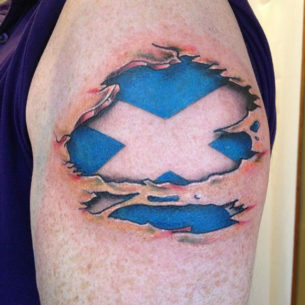 Thus, people make Scottish flag tattoos not on their faces, but on other parts of their bodies. These are designs of different styles, techniques and sizes. 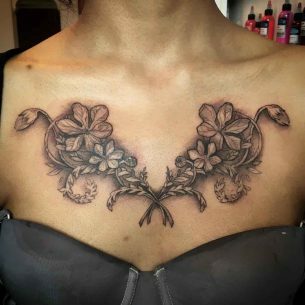 The very inspiring ideas which are placed on the chest, close to the heart. 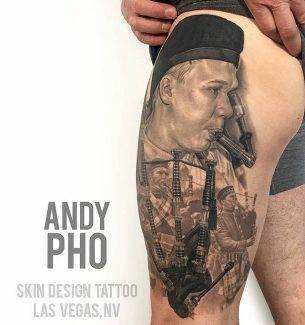 However, our personal favorite flag tattoo is the three-dimensional drawing in which the flag is seen under the ripped skin. 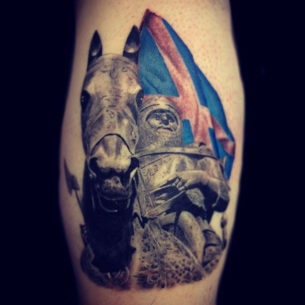 True patriotic tattoo! 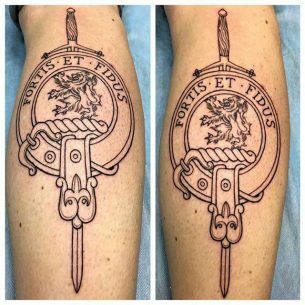 National emblem tattoos are quite similar to ones with flags. 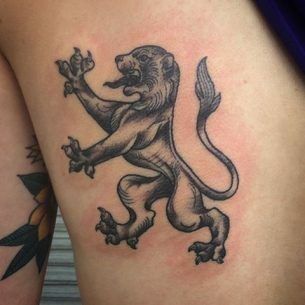 The upright lion or lion rampant on the golden shield-shaped background or without it is tattooed mainly on shoulders and the mining of such tattoo is quite the same designs with flag have. This is the image that is associated directly with people of Scotland and nothing else. A tartan is a name of the fabric pattern of the kilt – the national costume of Scottish men. 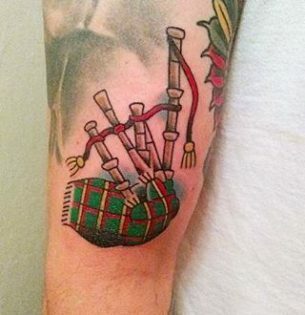 So, of you ran into the man with a tattoo of this combination consisting of crisscrossed horizontal and vertical bands in multiple colors, be sure that this is a proud Scotsman you see. 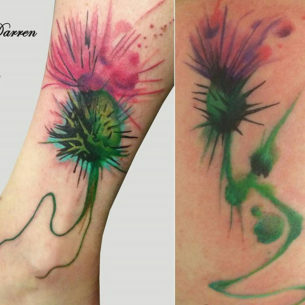 These are basically the main images used in Scottish tattoo designs. 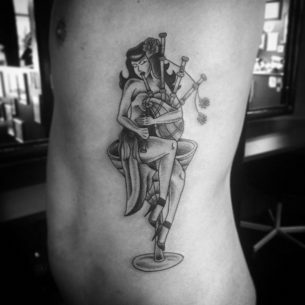 They can be combined with each other or be a part of bigger tattoo designs with other elements describing the soul of Scotland such as bagpipes and bagpipers, landscapes of the Highlands, some weaponry and different elements of national costumes and all other stuff which Scotland is famous for. 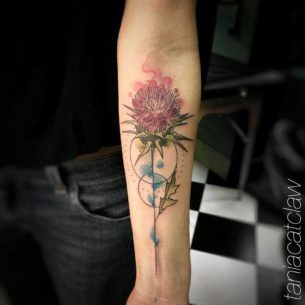 All these designs can be made in different styles and with the help of different techniques.